Yeah, that's the original Wakelin art. I also have the piece for Parallax too. I would have bought Head Over Heels too but Jon Ritman had first dibs on it. That's the cover to Crash #1, right? 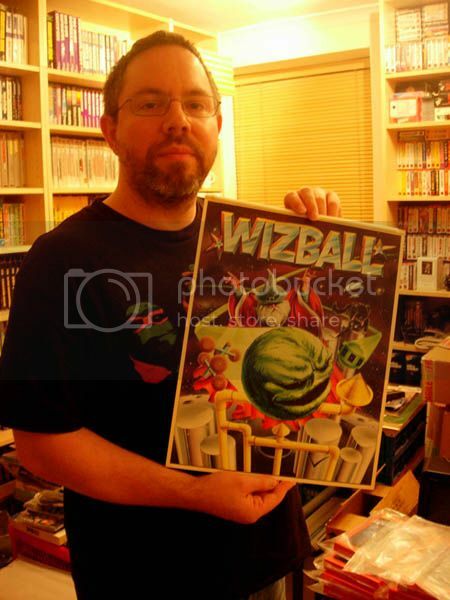 I must admit I was fortunate getting the two Wakelin pieces, a mate of mine interviewed Bob right before he was thinking of shifting them in... 1999 or 2000... and I got wind of what was on the block before most other folks. Yeah, Chris got it according to Roger iirc. #3 went as a competition prize apparently (otherwise I would have had that). #7 and #10 were sold before any of the covers were made available to buy publicly iirc, and I didn't have enough spare money to get #6 and #9 when they were made available. I did however get #2, #4 and #8! And #59. And the artwork for Summer Camp, Winter Camp and Creatures II. I would have considered Retrograde but someone bought it at the old, original price of £2000 (!) when it was on the other art sales website.